Gift cards can be purchased over the phone by calling (908) 737-7469. They can also be purchased in person by visiting the Wilkins Theatre Box Office. 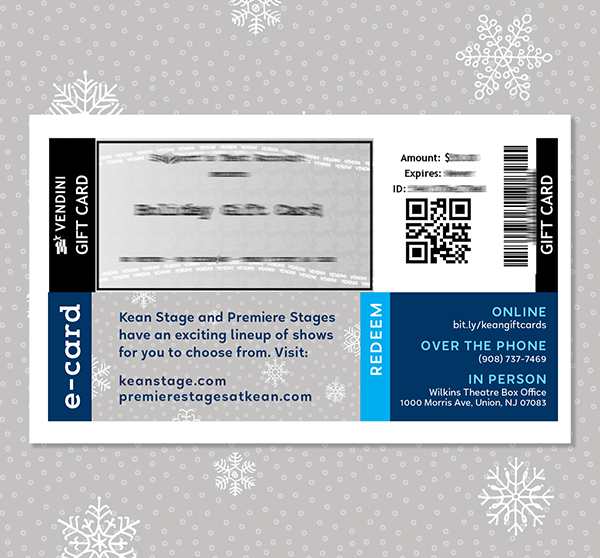 Electronic gift cards can be purchased online only, by clicking here. A gift card will not be issued in exchange for an e-card. All gift cards can be purchased in any denomination. All gift cards expire two (2) years from the date of purchase. All gift cards carry a card fee per order. 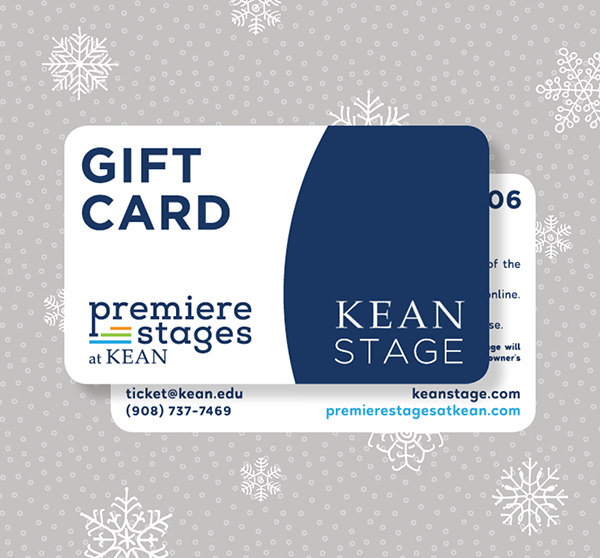 Redeemable for Premiere Stages and Kean Stage performances only. Not applicable for Kean University events, student events and/or bus trips. Not redeemable for cash; no change will be given. E-cards and gift cards may not be replaced if lost, stolen, destroyed, altered or used without owner's permission.